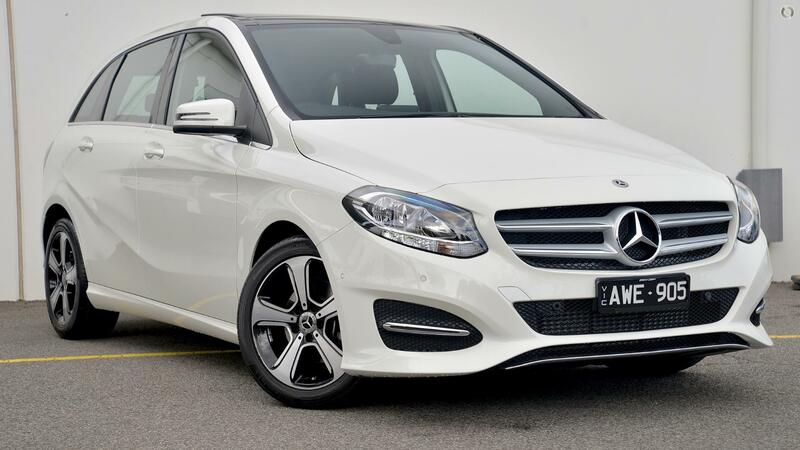 *** Only 6,000kms*** Automatic *** Still under factory warranty*** This Mercedes B180 hatch is in unmarked condition. Featuring sunroof, satellite navigation, bluetooth phone and audio, front and rear parking sensors reversing camera, alloy wheels, automatic headlights, Ipod integration, aux & usb input, side curtain airbags, split folding rear seats, climate control air conditioning, full electrics, ABS, EBD, traction control, remote locking, advanced onboard computer and too much more to list... Get in fast as this car will not last long! Purchase with total confidence from one of Australia's largest Mazda dealerships conveniently located 10 minutes from the CBD just off the Tullamarine Freeway. We welcome all interstate buyers and can arrange transport anywhere in Australia to your door or feel free to pick it up directly, we are only 5 minutes from Melbourne Airport for your convenience. We offer finance and insurance packages to meet your specific needs. Most of our clients can be approved within the hour and driving out the door the same day! We welcome all trade-in vehicles and offer market leading prices. ^ $173 per week is available to approved applicants only. WARNING: This comparison rate is true only for the example given and may not include all fees and charges. Different terms, fees or other loan amounts might result in a different comparison rate. Excludes government, rental and national fleet customers. This offer is based on a consumer loan with 60 monthly payments of $749.63 and an APR of 10% with $0.00 deposit and a balloon payment of $0. Total amount payable $44,977.52. Conditions, fees and charges apply. Essendon Mazda reserves the right to vary or withdraw this offer.